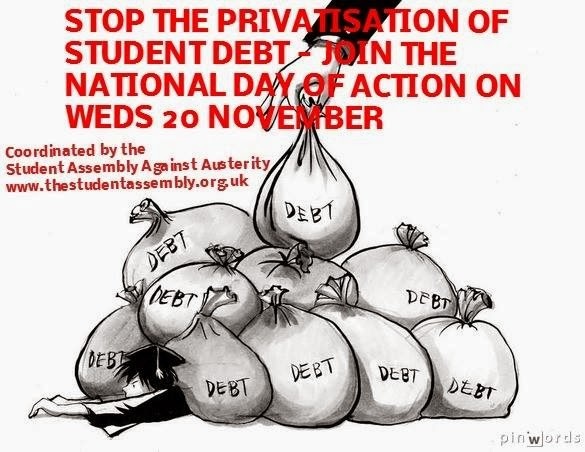 On Wednesday next week, 20th November, students across the country will unite under the banner of the Student Assembly Against Austerity to protest the planned privatisation of the Student Loan Company. The outrage of pushing young people into debt before they even understand the implications lay at the heart of the protests against the increase in student fees two years ago. 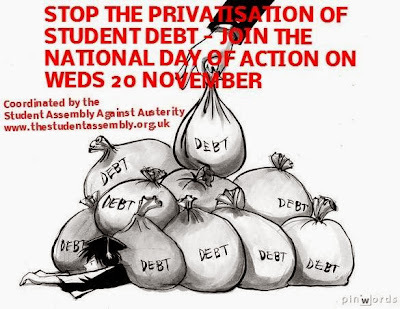 But the sell-off of the Student Loan Company to fill a hole in the public finances pushes students not just into debt but into the clutches of private finance companies. The students have a Facebook page to publicise events.It shows that across the country from Aberystwyth to Essex students will be demonstrating against their use as a cash cow for cash-strapped government. In Liverpool students will be running a ‘student debt obstacle course’ and collecting signatures on a petition to send to local MPs. In York they will be having a more traditional rally with speakers. We need to lend them our support wherever and whenever we can to resist what is a mechanism to allow us to feed off their future earnings. The reason that the student loans are attractive to finance companies is that they are prime material for securitisation - the process of financial alchemy that turns an illiquid asset into something that can be bought and sold and used for speculation. It was exactly this process, with sub-prime mortgages, that lay behind the financial bubble and then bust back in 2007/8. The original asset, the loan to a student, generates a slow although dependable income as repayments are made. But once bundled together and turned into a security these debts can be bought and sold in secondary markets where much greater speculative earnings can be made. This explains the appeal of the Student Loan Company to financial sharks. The report quotes data from a study by Grant Thornton that demonstrates how the debt system of finance will exacerbate inequality between students and work against social mobility. 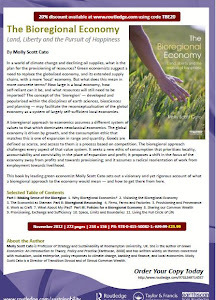 The research calculates that those who will lose most are those on high but not excessively high incomes. In their comparison of three representative workers, all of whom graduate with a debt of £40,000, the journalist who never achieves a high income has the vast majority of her interest written off because she does not earn enough to repay it. The barrister (a representative high earner) repays his loan together with £28,000 of interest. The loser is the civil servant who, although he makes rapid career progression, does not earn enough to pay off his loan rapidly, and so incurs interest of £58,000 as well as his loan of £40,000. These are staggering sums of money, and indicate that the students of the future will be funding those financial companies to whom the government will sell on student debt handsomely.